Funk Roberts' Jump Training Ebook - Put the FUNK into your DUNK! GUARANTEED RESULTS Ã¢â‚¬â€œ IT IS ALL THERE FOR YOU! DO YOU WANT JUMP LIKE THE PROS? This isnÃ¢â‚¬â„¢t just your run of the mill jump training or plyometrics program. I give you six weeks of jump training which you can reuse year-round. I give you a weight training program that will increase your strength, power, and blast you past all the other jump training programs. I give you a 2 week daily diet plan that draws out every meal for you, to help you maximize your results, I give you stretching exercise to ensure your muscles are ready for maximum growth...this IS easy to follow and its fool proof. Marc Ã¢â‚¬Å“FunkÃ¢â‚¬Â Roberts has trained some of CanadaÃ¢â‚¬â„¢s top volleyball athletes and helped them to extraordinary success. Born in Toronto, Canada, Funk is a former professional indoor and beach volleyball player and is a jump training and certified fitness expert. Through his years of training and preparing for tournaments, this 40 year old had been able to create a fool proof jump training program that helped him compete at the worldÃ¢â‚¬â„¢s top level. 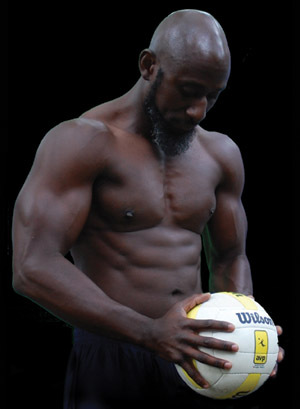 At only 5Ã¢â‚¬â„¢10Ã¢â‚¬Â, he has won a couple of national indoor volleyball championships, including MVP honours in 1995 and was on the Canadian National Masters Indoor Team in 2005. On the beach, he was ranked as high as 3rd in Canada, won over 30 tournaments, was awarded the most entertaining player twice and represented his country on the world stage. I saw so many athletes in different sports not maximizing their potential to be the best. I used this program for over 15 years with continued success. In fact there were times when I thought I could not jump higher and after 6 weeks I did. Even as I got older I continued to shock others and myself. Basketball: Higher jumps bigger dunks, better rebounding. 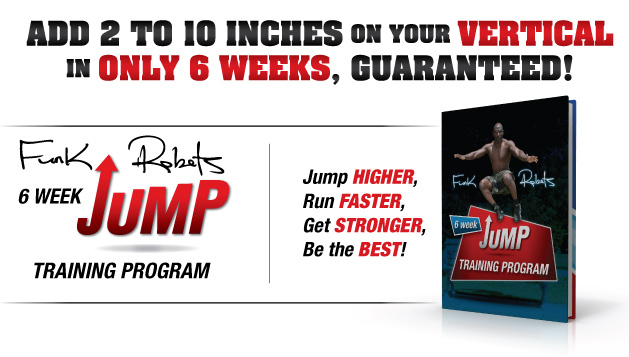 WHAT IS IN THE FUNK ROBERTS 6 WEEK JUMP TRAINING PROGRAM? The 6 Week Jump Training Program is progressive, starting off slow and increasing in intensity. It is a step by step instruction with photos and videos (coming soon) to help you get the maximum results. Get a 3 day workout which should be used in conjunction with the jump training program. Building strength and power is key to increasing your vertical. It is not just your lower body you need to work on, but the upper body is just as important. In order to continually increase you vertical, you need to keep your muscles stretched, loose and prepared for growth. The easy to follow stretching program will ensure that your muscles recover quickly and are ready for prime vertical growth. Proper nutrition is important for any athlete or person conducting a high intensity program. Your body and muscles need to have the proper nutrition in order to recover, grow anddecrease the frequency of injuries. This easy to follow meal plan lays out your daily food intake to ensure that you excel through this program. You will also get access to purchase the Funk Roberts sports formulas that will give you the edge before, during and after each of your training workouts. With the downloadable videos, you can bring me to your workout. I will be your personal trainer. Purchase the Advanced package and get access to all the video exercises. These interactive videos will coach you through each exercise, ensuring proper form increasing your potential vertical growth, while decreasing chance of injury. "If youÃ¢â‚¬â„¢re looking for an easy workout, this is not the program for you. But if youÃ¢â‚¬â„¢re ready for hard work thatÃ¢â‚¬â„¢s sure to produce great results, then Funk Roberts Jump Training is for you. In NCAA Division 1 Football, players need every advantage they can get as you compete against some of the best athletes in the continent. And as a Cornerback in this league, speed, quickness and explosiveness on the field are everything. Though IÃ¢â‚¬Ëœd heard great things about this program before, I was a bit skeptical when I started. But training under the instruction of the Funk Roberts Jump Training Program proved me wrong. The 6 weeks I spent training in this program was grueling, but effective. I shaved time off my 40 yard sprint and increased my explosiveness on the field, exactly what I needed. IÃ¢â‚¬â„¢d recommend this program for anyone interested, but especially for athletes looking for that extra edge." "The principles and exercises outlined in this E-Book have been responsible for helping many athletes elevate their games.FunkÃ¢â‚¬â„¢s program is laid out to ensure success. Every year Funk gets older and he keeps touching higher. Take advantage of his expertise. Through his experience in training and athletics, Funk has designed a program to take the guess work out of training. Improving your vertical leap can mean the difference between winning and losing, playing at the next level or watching at the next level. The Funk Roberts Jump Training E-Book is a great tool for anyone serious about improving their performance!" 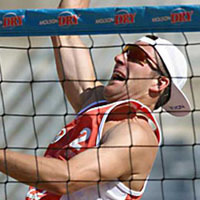 "Ever since trying Funk Roberts' Jump Training program, I've seen many improvements in my beach volleyball game play. I'm now able to run faster in the sand, jump higher, and go in for the spike. It's simple, effective, and will take your training to the next level. If you want to improve your athleticism and gain explosive power in your jumps, Funk's your man!" 100% No Questions Asked Money Back Guaranteed! 40 YEAR OLD FUNK SPIKES AGAINST YOUNG GUNS..WITH THIS PROGRAM, YOU CAN TOO! 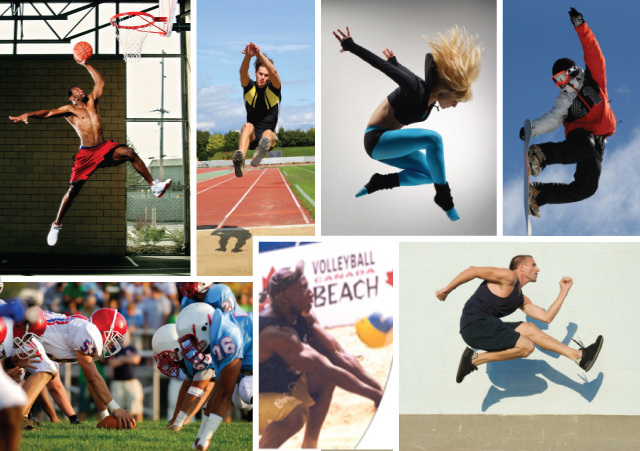 JUMP HIGHER, AND EXCEL AT MY SPORT! Purchase your e-manual by Secure Server using credit Card or PayPal. Once your credit card is approved, you will be taken to a special download page where you can download the your Funk Roberts 6 Week Jump Training Program. 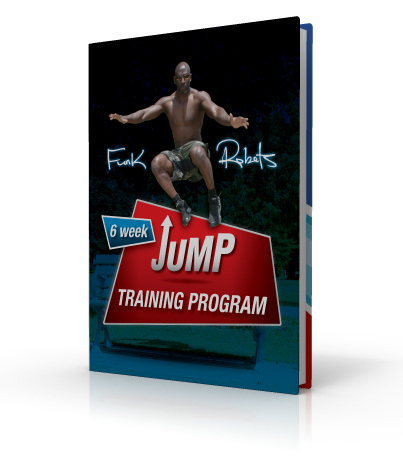 The Funk Roberts 6 Week Jump Training Program eBook is a PDF document which can be read on a Mac or PC. You will require Adobe Reader.